MEMBERS of Penrith Swimming Club competed in the Diddy League final, held in Carlisle. The squad of 33 made it into the final for the first time in the club’s history, by competing against other swimming clubs in Cumbria over the course of three rounds. For the final, a group of 31 travelled to Carlisle to take part in individual and team relay events. There were notable performances, particularly from the under-10 boys. The team came sixth overall, with Carlisle Aquatics winning the trophy. 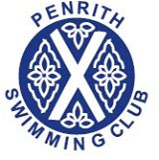 Congratulations went to all those Penrith swimmers who took part in any of the rounds or final and swam in a fun but competitive environment, some of them for the first time. In September swimming club members took part in the early season Ulverston Gala, held at Kendal. They swam in each of the five disciplines backstroke, breaststroke, butterfly, freestyle and individual medley across distances of 50, 100 and 200 metres. Each of the squad members, Kes Fountain, Sol Johl, Saskia Todd, Niamh Brenan, Saffea Armstrong and Carys Benn, came back with some personal best times from their races, which is a promising start to the season. Niamh Brenan picked up ribbons for two sixth places in her age category.